Designed specifically for treating hand patients in a clinic setting. 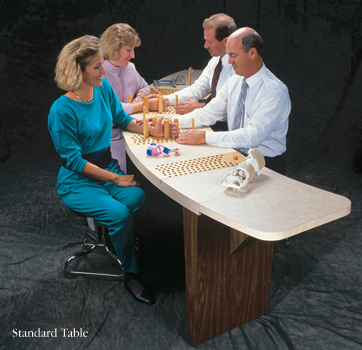 Semicircular tables have built-in stations that allow treatment for up to six patients simultaneously. A poster with suggested exercises is included. 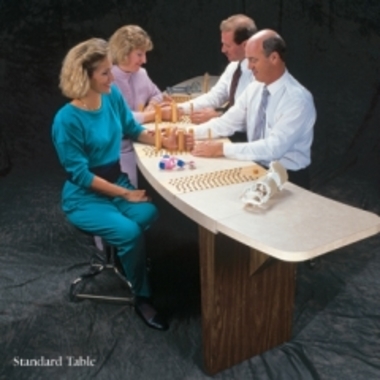 Accommodates up to six patients and two therapists. Features four built-in pegboard treatment stations. (250 x 51 x 79 x 104cm). The 16" (41cm) flaps extend the Standard table to 124" (315cm) long. Accommodates up to three patients and one therapist. Features two built-in pegboard treatment stations. Table dimensions: 59" long x 20" wide x 31" high x 28½" deep (150 x 51 x 79 x 104cm). 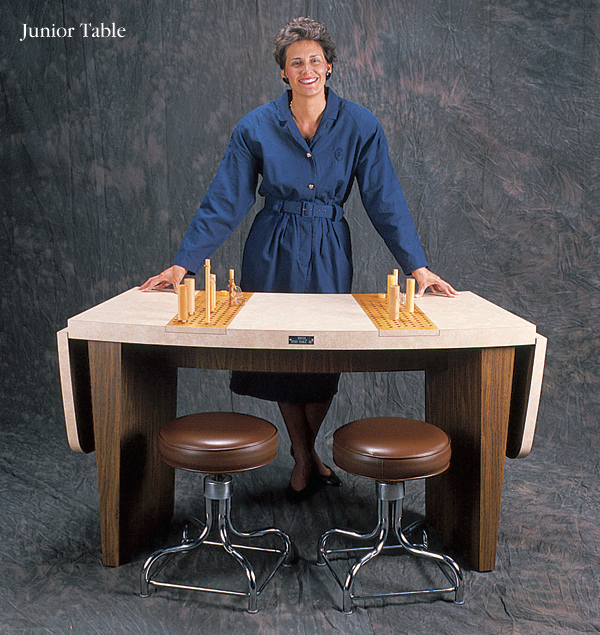 The 16" (41cm) flaps extend the Junior table to 91" (231cm) long. Both tables are constructed to provide exceptional stability and durability. 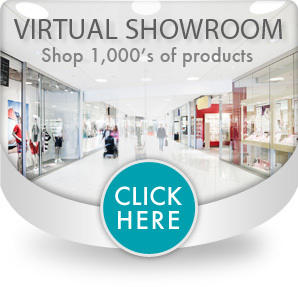 Made of solid plywood finished with a durable, easy-to-clean, high-pressure laminate. Pegboards sit flush with the table and can be reversed to create a smooth work surface. Both tables have an 8" (20cm) deep shelf below the surface on the therapist’s side for convenient storage. The Standard table shelf has a 5" (13cm) high storage space. The Junior table shelf has a 4" (10cm) high storage space. Additional shipping charges will be added to your invoice.